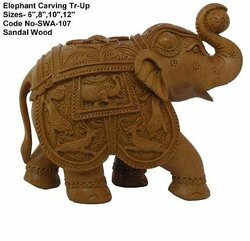 Manufacturer of a wide range of products which include elephant family statue, elephant carving statue, handcrafted animal, sandalwood carving elephant, handmade elephant statue and sandalwood elephant. 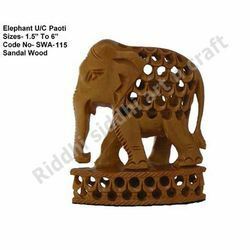 We are offering wide range of Wooden Ambabari Elephant. 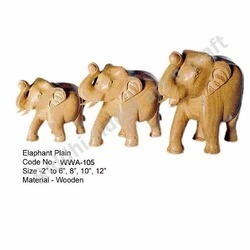 These Wooden Handicraft are available as per the customer specification at reasonable price. 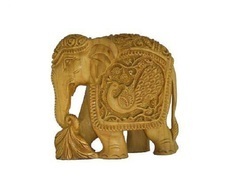 These are very useful in for home decoration. We are set benchmarks of excellence within the different industry verticals. 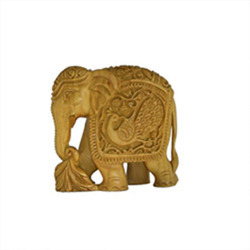 Gorgeous, stylish, graceful and traditional are the fabulous Wooden Handicrafts, Wooden Statues, Wooden Furniture. 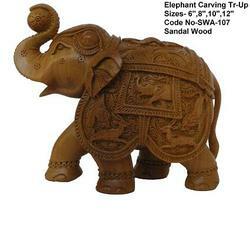 This statue made by a master craft man of our company. 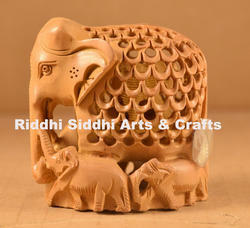 We made many products in wooden like god statue, goddess statue, and wooden jewelry. Packaging Details: 1) Carefully pack in bubble papers. 2) Finally packed in corrugated box. 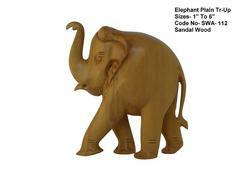 We are a leading manufacturer of Designer Elephant.